Scene near the fatal rottweiler mauling of 2-year old Christopher Camejo. UPDATE 12/22/14: Citrus County authorities arrested the parents of 2-year old Christopher Camejo who was brutally killed by his grandfather's rottweilers on December 6. Christopher Camejo, 29, and Claudia Scarbrough, 31, both of 8352 W. Oak St., Crystal River, were charged with manslaughter and child neglect. At the time of the attack, both parents were home, but not watching their three children. Department of Children and Families took the other two children. Sgt. Steven Casada, supervisor of the Special Victims Unit, said it was critical for detectives to put together a timeline showing that the little boy was not being supervised at the time of his death. "Detectives literally worked around the clock in order to piece together the evidence needed to make the arrests on this case," Casada said. The investigation also revealed that both parents were under the influence of multiple narcotics on the day little Christopher was mauled to death. Sheriff Jeff Dawsy praised everyone's efforts. 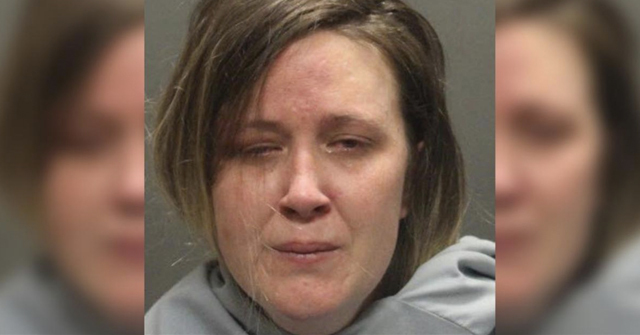 "Everyone who worked on this case -- from the 911 call takers, crime scene technicians, animal control officers, deputies and transcribers, to the detectives and everyone in between -- was impacted by the horrific wounds inflicted upon this child," Dawsy said. Everyone knew it was their job to bring justice to this young boy and, "today we did just that," Dawsy said. Both Camejo and Scarbrough are being held on $20,000 bond. The Citrus County Chronicle reports new information in today's update. The boy's grandfather, Joaquin Camejo, is heartbroken. "He was everything to me, everything -- everything I can imagine," he said. Christopher Camejo, 2-years old and his first grandson, was mauled to death by up to four of Joaquin's rottweilers on December 6. Joaquin said he first heard the news of his grandson's death when returning from a fishing trip. His son desperately called him on the phone. Prior to leaving for the fishing trip, Joaquin said he locked up two of his rottweilers -- the two he believes killed the boy -- in his backyard in a "special pen." The two dogs, a male and a female, were siblings, according to Joaquin. He believes the two were trying to establish pack order and seemed more aggressive. He said his dogs had never shown aggression toward his grandson, even slept with him, but he was still cautious when his grandchildren were around the dogs. Joaquin believes Christopher exited the house "through a screen door leading to the dogs' pen" while the adults in the home were cleaning and watching his three grandchildren. It is unclear from that description if the screen door directly led into the "special pen" -- a recipe for disaster -- or if the child also had to open the pen's door. His two other rottweilers and a pekingese were in the home apparently and exited with the adults when they went to check the backyard after the attack. As noted in the top photograph, the family had a "Beware of Dog" sign on their fence. That is inconsistency one. Joaquin said he exercised caution when his grandkids were around the dogs, while simultaneously saying that his rottweilers had slept with grandson. This is not exercising caution -- inconsistency two. Despite the unclarity of access to the "special pen" it was still an accessible death trap. There is nothing cautious about this poor design -- inconsistency three. Finally, despite the struggles the family was having and the imperfect nature of human beings, the grandfather still had four rottweilers in his home along with his three grandchildren and their parents who were all, it appears, temporarily living at (or visiting) his home. 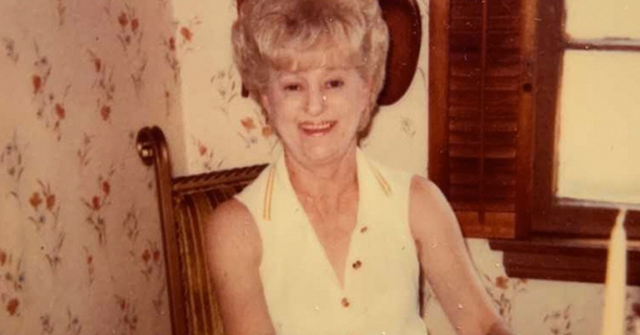 Joaquine explained, "We were in the process of getting them back to their house in Homosassa." Unfortunately, there is no room for average imperfection with four rottweilers and visiting children ages, 1, 2 and 5. It was reported Sunday that the child was already dead when Citrus County sheriff's deputies and emergency medical responders arrived on scene shortly after 4 pm Saturday. Christopher Camejo, 2, was discovered in the backyard with bite injuries consistent with a dog attack, according to authorities. The toddler had been alone when he was attacked. His parents, Christopher Louis Camejo, 29, and Claudia Scarbrough, 31, were inside the home with their two other children. New information released Monday indicates the child was under the care of his mother and his grandfather's girlfriend, Kimberly Fisher, at the time of the deadly attack. Fisher told News Channel 8 she stepped away to use the bathroom when Christopher managed to slip out of the house. "That's all it took," Fisher said while crying. "Had I not gone to the bathroom, this would've never happened." 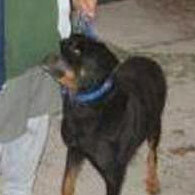 Fisher said the rottweilers had never been aggressive towards the children. The boy's grandfather, Joaquin Camejo, is listed as one of the property owners of 8352 West Oak Street on the Citrus County Property Appraiser's website. Joaquin's Facebook page shows images of one of the female rottweiler's with a litter of at least 8 puppies as recently as November 5. Joaquin was away fishing when the boy was attacked and killed. He called his grandson's death a "tragic accident." 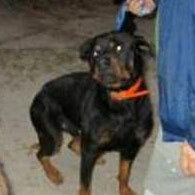 Joaquin Camejo has surrendered his four rottweilers to animal control. Crystal River, FL - Citrus County Sheriff's deputies responded to the death of a 2-year old boy from a reported dog attack Saturday afternoon. The family had three children, four rottweilers and another small dog, according to Heather Yates, the sheriff's office spokeswoman. Animal control officers removed all five dogs. Department of Children and Families was notified, as is protocol when a child dies and other children are in the home. "The parents are distraught," Yates said. A late evening update from 10 News showed the family had a "Beware of Dog" sign hanging on their fence. The toddler was attacked and killed by one or more dogs while in his yard. Evidence technicians had a light over the scene where the child died -- it appeared to be on the side or in the back of the family's Crystal River home. Department of Children and Families removed the two remaining children from the home. The father of the child was arrested on unrelated charges. 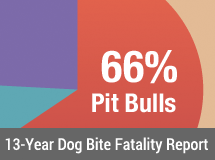 The mauling death of this child elevates the number of dog bite fatalities to 40, higher than DogsBite.org has ever tracked since 2005. The closest comparison is 2012 with 38 fatalities. Back in August, we estimated that fatalities would likely reach 46 by the end of the year. Though it may appear that rottweiler attacks are up this year, they are not. Rottweilers typically kill about 4 people per year. 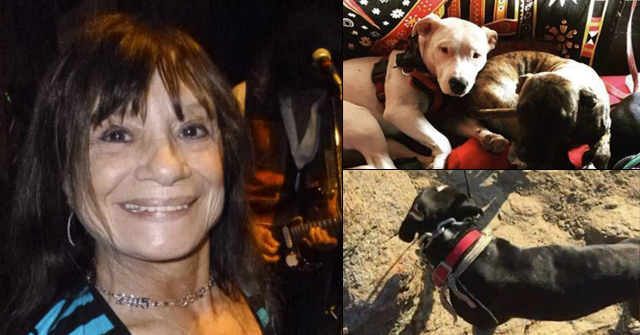 This is the fourth fatal rottweiler attack of 2014 versus the 25th fatal pit bull mauling. This death also marks the fifth fatal dog attack in Florida this year. Other Florida victims include: Jessica Norman, 33-years old (Highlands County); Logan Sheppard, 4-years old (Hillsborough County); Joel Chirieleison, 6-years old (Levy County) and Javon Dade Jr., 4-years old (Miami-Dade County). Texas leads all states in 2014 with the most fatal dog attacks, 6 deaths.1 North Carolina falls behind Florida and has the third most fatal dog attacks, resulting in 4 deaths. Three of the four rottweilers seized. Images provided by the Citrus County Sheriff's Office. 1All 6 Texas fatal dog maulings occurred in the first 3.5 months of 2014. Do you know what a "smaller" dog is in a household of four rottweilers? A PIT BULL. Oh that's just great. Dad was hiding out it appears at his mother's home from an injunction for protection (against domestic violence or retraining order type deal)that had been served on behalf of his wife in another county. That is why he was arrested. When it rains it pours. Despite the tragedy, the father of the child, Chris Camejo, was arrested on an unrelated charge in his driveway. Camejo was arrested as he was in violation of an injunction for protection and was taken into custody at that time. The injunction had been served in another county on behalf of Claudia Scarbrough. Not an accident. This was criminal negligence, and these extreme incidents need to be treated as crimes, not unfortunate accidents or animal control issues. Where was animal control before this happened? How can someone fill a house with dogs and not have to follow local ordinances and laws that prevent disasters? It's bad to see the pendulum swing back to Rottweilers again. Not nearly as bad as the pit bull situation, but not good. In the 1980s, there was a lot of Rottweiler promotion, and Rottweiler breeding and sales increased in the general public with the accompanying maulings, especially of children. The Rottweiler breeders were some of the first to use the nanny dog myth to try to avoid responsibility, and some of the first anti-BSL pushes were from Rottweiler breeders. Then the pit bull promotion increased in leaps and bounds, and Rottweilers faded from the commercial marketing arena. With the attack on the home health aide in Plainfield CT due to Rottweiler breeders in their twenties, I wonder if the marketing trend hasn't gone back to promoting this breed. Society has to come to terms with the fact that there are people who think they have the right to breed aggressive and dangerous breeds of dogs that kill people. It doesn't make much sense that other businesses can't get away with producing and selling danger and injury. "Animal control removed four Rottweilers and an additional dog from the home. Several Chihuahua and puppies were left at the home." This is why there needs to be not only enforced animal control laws, but also zoning laws and licensing of businesses. Things are out of control, and that is not how a civilized society should be run. Other businesses aren't allowed to operate this way. The neighbors have been living with a danger in their neighborhood, out of control. 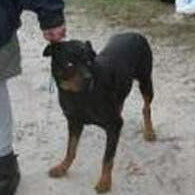 Is anyone out there saying "Thats not a rottie, no one can tell if its a rottie! DNA TEST!" Pits are just as distinctive as rotties are. My 4 yr old can spot one at 30 yards, and is accurate like 90% of the time, but we are supposed to believe that we cannot ID them. Poor kid. This was totally avoidable. It amazes me that people can still be stunned when they leave small children alone with a PACK of known aggressive dogs. I have to agree, this is criminal negligence not an accident. This exemplifies why people should be limited to ONE dog when it's a known dangerous breed. I am glad to see some real action taken with the parents, but still it was the grandfather running an illegal, unlicensed business intentionally breeding aggressive dogs and selling aggressive dogs to attack kids in other neighborhoods and put his own neighbors at risk. The root of the problem is still left to grow. How many kids that he's already sold offspring of these vicious dogs to have or are going to attack kids? There need to be rules and controls, and there needs to be a system of consumer tracking to pinpoint problems and get back to the source of the problem. Both the mother and Camejo Sr. tested positive for methamphetamine, amphetamine, opiates, oxycodone and benzodiazepine at the scene of the fatal dog mauling. The mother took a plea deal and took responsibility. Sadly (and disturbingly), investigators "threw away" the drug test results for Camejo Sr., which "threw away" the trial. The jury did not convict. Validated: “An incompetent DCF agent combined with an intolerant detective." After being found not guilty in June 2016, Camejo Sr. still faced a felony charge of introducing contraband into a detention facility. We do not know if that felony case has been adjudicated yet.